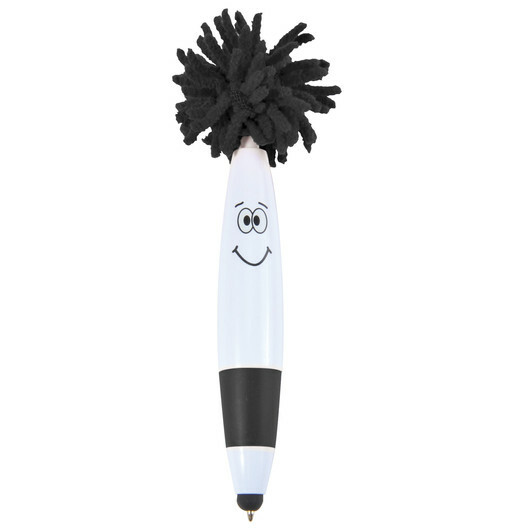 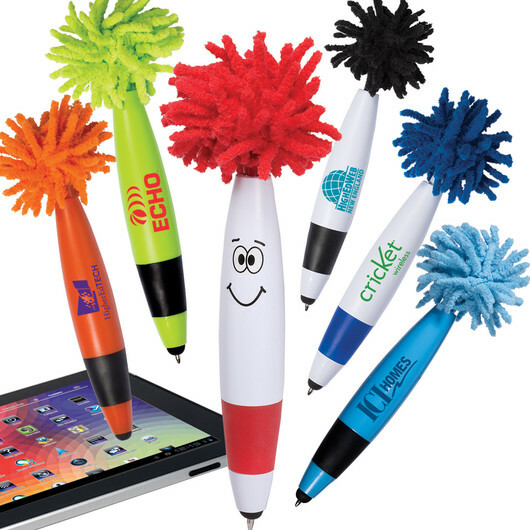 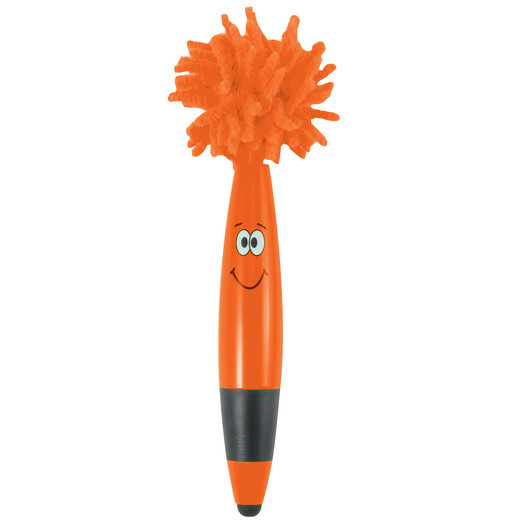 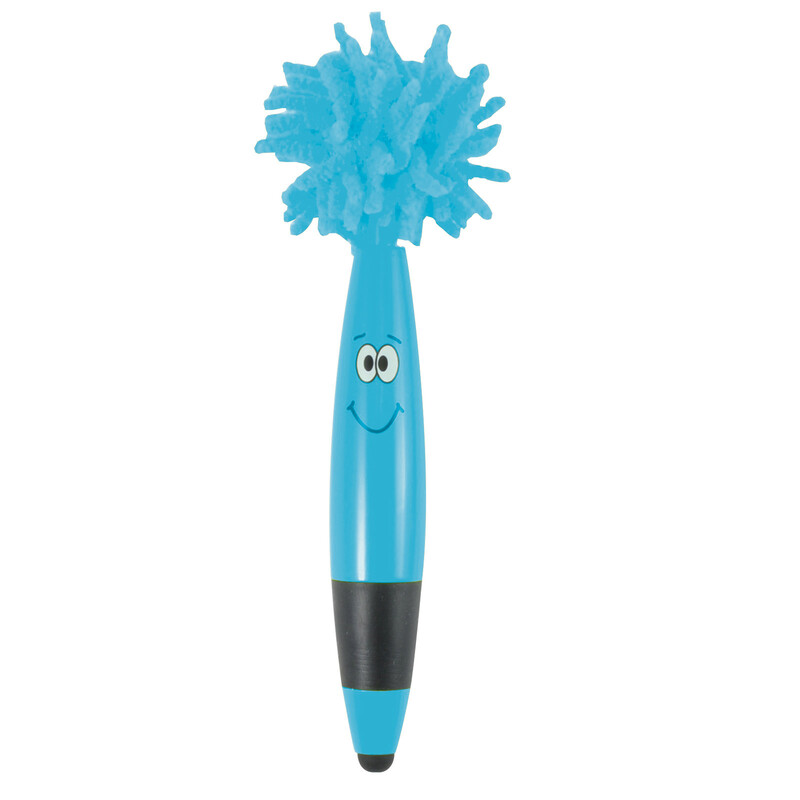 A happy mop top pen with a smiley face and microfibre hair as well as a stylus. The junior version of the highly popular Mop Top pen has arrived! It's a ballpoint/stylus pen with a smiley face and microfibre hair that makes cleaning microfibre surfaces a breeze! With a writing distance of 2.1km, a tungsten carbide ball and Nero pigment ink these pens are a must have item in any pencil case or stationery set.